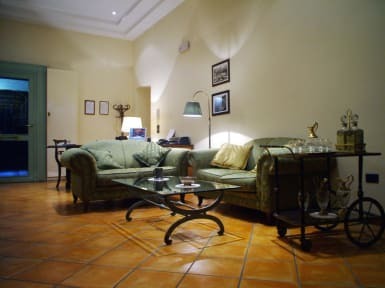 In Naples historical center, 200 meters from National Archeological Museum and 100 meters from Piazza Dante. Property and Hotel La Locanda dellArte offers homely accommodation only 5 minutes from metro station. 60 minutes to Pompeii and Sorrento. Beverello Port is 5 minutes away for ferries to Capri, Ischia and Procida. 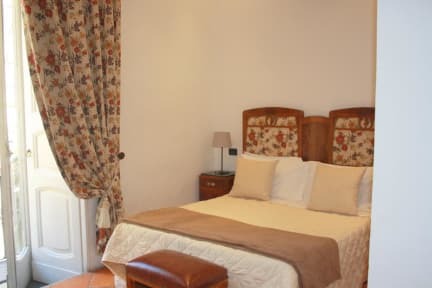 La Locanda dellArte has rooms with private bathrooms, air conditioning, heating, telephone, satellite TV, wi-fi internet. satellite TV and DVD player, internet access, solarium, lounge with kitchen, laundry room, free parking for bicycles and motorcycles, automobile 10.00.
breakfast, internet access, linens, towels, lockers and luggage storage.